Here’s what could be the new look for one of Atlanta’s oldest mixed-use urban properties. 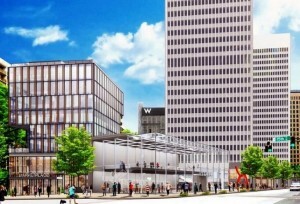 North American Properties revealed the Colony Square redesign imagery yesterday, designs the firm says are based on 200 interviews with nearby community leaders. The design was conceived by NY-based Beyer Blinder Belle and Lord Aeck Sargent. 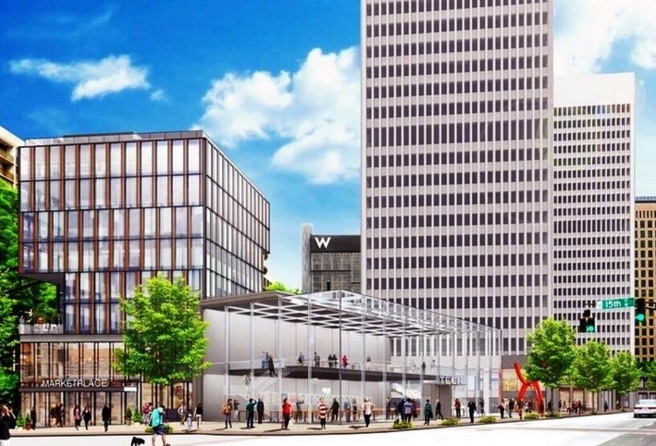 The team is aiming to alter the perception of Colony Square from “dated,” “concrete” and “boring” to “urbane,” and a Main and Main public space fixture in Midtown, according to a company release. Atlanta Sees No. 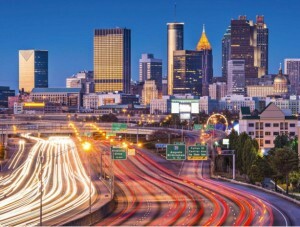 9 Biggest April to May Rent Drop in U.S.
Atlanta had one of the largest decreases in rent for a 1-bedroom apartment from April to May, according to a new report. Madison, Wisc.-based ABODO’s National Apartment Report: May 2016, found Atlanta saw average rents for a 1-bedroom apartment fall from $1,305 to $1,266 — a 3 percent decrease. Click here for the full report from ABODO. 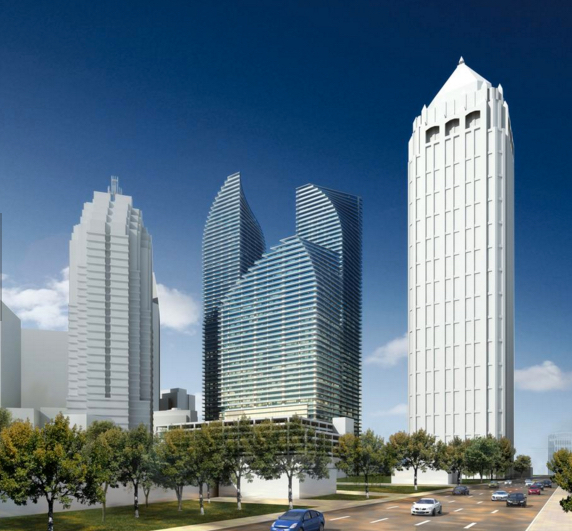 Two years after first pitching the project, developers are tweaking a plan for Midtown’s former Symphony Center site to include a 70-story skyscraper, potentially making it one of the tallest buildings in the city. In 2014, New York developers including Ashkenazy Acquisition Corp. and Olympia Heights Management pitched one of the city’s largest mixed-use projects for the four-acre site at 98 14th Street — a $650 million plan to build a trio of twisting towers. The project would include up to 1,300 residential units, 90,000 square feet of retail and a 340-room hotel. 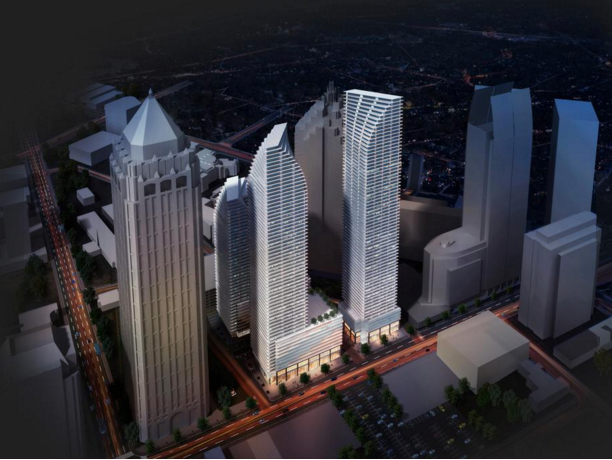 “Tower C” was to rise 60 stories, with 340 hotel rooms and 200 residential units. That tower is now being considered for an additional 10 stories, allowing it to reach at least 800 feet, or about as tall as Midtown’s One Atlantic Center, the city’s fifth-tallest office building, Atlanta Business Chronicle has learned. The original plans also called for a 57-story residential tower with ground-floor retail and a 38-story residential building with retail. Now, one of those buildings would be scaled back, sources said. An attorney for the development group — identified as an affiliate of New York-based Ashkenazy Acquisition Corp., Olympia Heights Management and architect Arquitectonica — was not immediately available for comment. The Atlanta office of Perkins + Will is also designing the initial phase of the project. An announcement could come toward the end of May. The plan would face growing headwinds. Financing high-rise apartment towers is becoming more difficult, as banks are growing wary of overdevelopment, with several thousand units already under construction in Midtown alone and rents starting to peak. While Atlanta’s economy bounced back after the national recovery began, and the Atlanta Regional Commission projects the region will add about 320,000 jobs between 2015 and 2020, it’s uncertain how much longer the expansion will last. The average U.S. economic cycle in the postwar period is seven years. The average of the last three cycles is nine years. When the project was presented in 2014, the goal was to build in phases over several years with the thinking that Midtown would continue becoming an even greater magnet for investment and jobs. Since then, the expansion of NCR Corp. to Midtown and the launching of the next phase of Technology Square have done little to diminish that hope. Pursuing an option to build an even taller skyscraper could make sense, especially if the project intends to attract an upscale hotel brand, such as Mandarin Oriental or Park Hyatt, said Atlanta developer Jarel Portman.